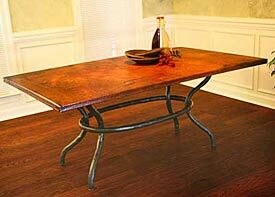 The versatility of copper, also called “red metal” is something that is beyond doubt. Although we are not aware, we have a daily presence in many more facets than we imagine: from the production of our electronics to electrical and telephone wiring, passing, even by the very walls around us. It is difficult to conceive given that first used as far back as 10,000 years, according to historical records of which we are aware. The properties of copper remain unchanged even after all this time, something that not all materials can say. Regarding heating systems, has been used traditionally to manufacture the piping network, because of its durability and ability to save energy. Since copper is not flammable or dismisses any kind of noxious gas, are also much safer in the event of an equipment failure. Another aspect that not everyone knows about is the health of copper plumbing, much higher, of course, of the lead. Germs are not crop environment favorable water through copper tubing, and thus, as demonstrated by analysis, no less than 99% therein pathogens within these conditions. It has been traditionally used in construction, as mentioned at the beginning, because of its resistance to corrosion from external agents. The maintenance required, therefore, is very small.